Includes up to 5 qts. of motor oil, filter, lube and maintenance check. Extra charge for premium products. Good at participating locations. Coupons may not be combined with any other offer. Coupon code ABWBVP7. Coupon void if altered. Expires 05/04/2019. Select Preventive Maintenance Services: Radiator Fluid Exchange, Transmission Fluid Exchange, Power Steering Fluid Exchange or Serpentine Belt Replacement. Good at participating locations. Coupons may not be combined with any other offer. Coupon code: ABWBVP7. Coupon void if altered. Expires 05/04/2019. Includes up to 5 qts. of motor oil, filter, lube and maintenance check. Extra charge for premium products. Good at participating locations. Coupons may not be combined with any other offer. Coupon code: ABWBVP7. Coupon void if altered. Expires 05/04/2019. Many of us put off our oil change and car maintenance needs for lack of time. 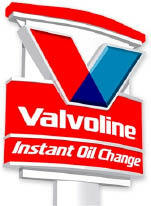 But Valvoline Instant Oil Change in Derry, NH makes it easy with its quick and convenient service. Valvoline Instant Oil Change is offering coupons for your next oil change and preventive car maintenance service. Our trained auto mechanics will take care of your car maintenance needs including tire rotation, radiator fluid flush and auto air conditioning service. Count on us for quality service and savings for your auto care needs. A Valvoline oil change is made for busy people; it takes about 15 minutes and you don't even have to get out of your car! Our certified technicians will determine which motor oil is best for your car or truck's make and model. Visit us today for savings on your next oil change or auto repair service. With Valvoline Instant Oil Change in Derry, you'll get friendly, reliable and affordable auto services including a Valvoline oil change, transmission fluid change and tire rotation. Save on your next car maintenance service with our Valvoline coupons. Valvoline Instant Oil Change performs a variety of preventive auto repair and maintenance services for all makes and models, including:, Drive-Thru Oil Change, Transmission Service, Radiator Service, Gearbox Service, Air Filter Service, Air Conditioning Service, Tire Rotation, Serpentine Belt Service, Battery Service, Light Bulb Replacement, Wiper Blade Replacement. Synthetic Motor Oil, Synthetic Blend Motor Oil, Conventional Motor Oil, Diesel Motor Oil, MaxLife Motor Oil: Great for cars in stop-and-go traffic or with high mileage., NextGen Motor Oil: This oil is made of 50 percent recycled oil. Good for your vehicle and the environment. 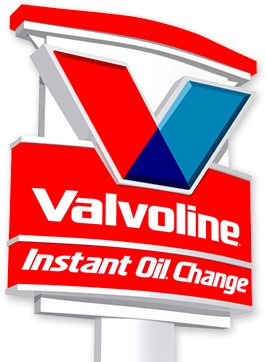 Valvoline Instant Oil Change in Derry, NH also services East Derry, Londonderry and other surrounding New Hampshire cities nearby.